For the Resident Who Wants to Work Out: Getting yourself back in the gym is always the most difficult part of the fitness process, so why not switch things up and try a new, fun, and local way to reach your goals? We’ve found four ways to get you started on your fitness journey that will keep you enjoying it all year long. Orange Theory Fitness gives you no excuse to give up on your fitness and health goals for the year, especially because it is located conveniently on the first floor of Aperture. Orange Theory has created the ultimate program to ensure a successful workout, combining a full body workout in only 1-hour, guidance from trained professionals and their own tracking technology to allow you to keep track of your achievements. Onelife Fitness is the ultimate one-stop shop for all things fitness. Designed to offer you the means for any fitness journey you see yourself on, Onelife offers a long list of upscale amenities to make hitting the gym your favorite part of the day. Visit their website to download a free pass, and experience their indoor pool, women’s-only workout zone, and fresh fruit smoothie bar to reward your hard work. Pure Joe Pilates Studio is located right outside our walls in Reston and offers a wide array of pilates classes created to be the perfect workout or an accompaniment to your pre-established fitness plan. Age is nothing but a number here, with class options for every age. Each class works as an aid for muscle strength, flexibility, and pain relief — no matter your physique. Reston Yoga offers a workout for body, mind, and soul with excellent teachers trained in the Bikram technique. Bikram yoga follows a series of traditional yoga poses in a hot room, tending to each and every part of the body for the ultimate full-body workout. SoulCycle is the newest and trendiest workout to hit the market and is perfect for all you workout buffs who want to switch it up in 2019. With studios in Bethesda and all through Washington, you’ll find yourself accustomed to the upbeat music and inspirational instructors that have made SoulCycle the most recent must-try workout class. For the Resident Who Wants to Eat Well: We know life can get busy, and making healthy, home-cooked meals every day can quickly fall to the backburner. For those of you who want to eat more wholesome meals in the new year, we’ve found some ways to make healthy eating the least of your worries. Farm to Table with Chef Kisha offers a 2.5 hour, $75 class where a professional chef teaches the entire process of cooking a healthy, three-course meal. What makes this perfect for your new year’s resolution? All the ingredients used in the class, from appetizer to entrée (and even dessert), are farm-to-table ingredients. That way, when you fall in love with your creation, you can enjoy it without hesitation. Cookology Recreational Cooking School offers numerous cooking classes to take with friends, family, or even by yourself. Whether you’re new to the kitchen and need their Basic Culinary Boot Camp class or just want to touch up on a specific skill, they have everything you need to make healthy eating a hobby. Williams-Sonoma may be a chain store, but their services are designed for the individual. 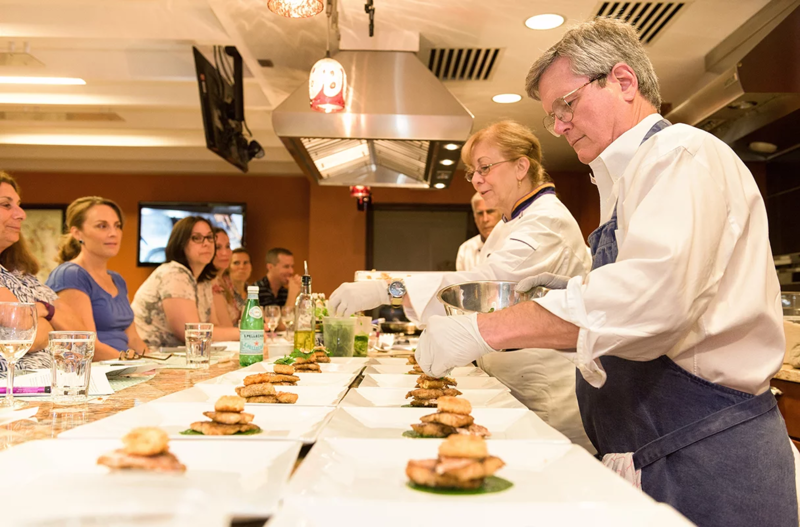 Located in the nearby Reston Town Center, Williams-Sonoma offers two varieties of cooking classes, depending on your personal needs. Try a 1-hour technique class for tips and techniques on chef-recommended recipes, or attend a 2-hour course on preparing the perfect three-course meal to entertain friends and family. For the Resident Looking to Get Out More, on a Budget: In the age of social media, we all see so many incredible vacation spots, activities, and experiences that we’d love to try. However, keeping up with everything you see can get costly very quickly. Below are some local treasures you’re sure to enjoy — without breaking the bank. 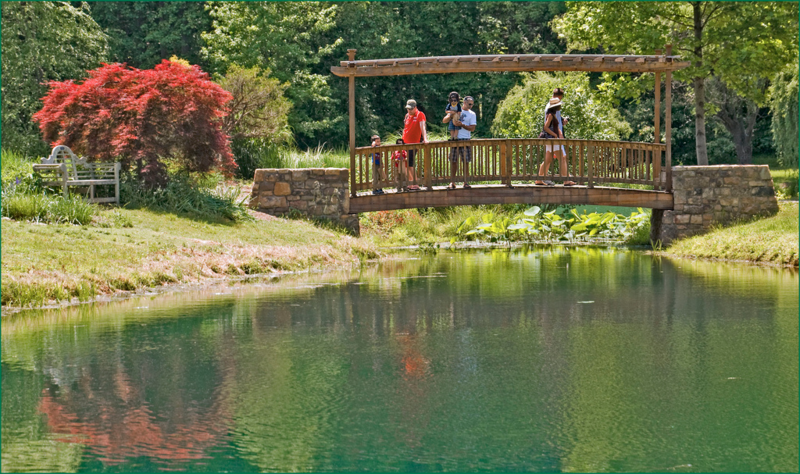 Meadowlark Botanical Gardens is a year-long attraction that is free to enjoy. With nearly 100 acres of majestic flowers and stunning landscaping, you’ll get lost in the natural beauty of your hometown. Take a trip to the 18th century with a visit to the restored log cabin, or bring supplies for a scenic family picnic. Washington & Old Dominion Trail has been named the skinniest park in all of Virginia. With gorgeous views surrounding you, the Washington & Old Dominion Trail offers the perfect route for your morning run, bike ride, or hike. Passing through several parts of Northern Virginia, including Reston, you won’t have to travel far to find an entrance to the trail near home. The Smithsonian Museums offer a world-renowned collection of museums and galleries, all of which are free to visit. Lining the National Mall in D.C., they are perfectly placed for a day trip filled with museum hopping. If that’s not your style, pick your favorite and spend the day there. Reston Historic Trust & Museum is the perfect way to learn about the history of your hometown and explore exhibits about the pioneers who led the way in establishing Reston into what it is today. Admission is free, and you won’t have to travel far for a great time. Autobahn Indoor Speedway is the ideal solution for all you thrill seekers looking for fun during the harsh winter months. Autobahn, in Sterling, VA, is an entirely indoor go-kart track, with cars reaching upwards of 50 mph. With no reservations needed and weather closures a thing of the past, you’ll find that Autobahn is the quick fix for boredom any day of the week. iFly Indoor Skydiving is only 20 minutes from Aperture, in nearby Ashburn, VA. Offering nearly a full skydiving experience, without the fear factor, participants are dressed in full skydiving attire, and experience free floating in an enclosed chamber. Perfect for anyone in search of an adrenaline rush, and definitely something to check off your bucket list. Sportrock has been offering rock climbing experiences in Sterling, Virginia for over 25 years, and they’ve developed a strong reputation for being the best during that time. 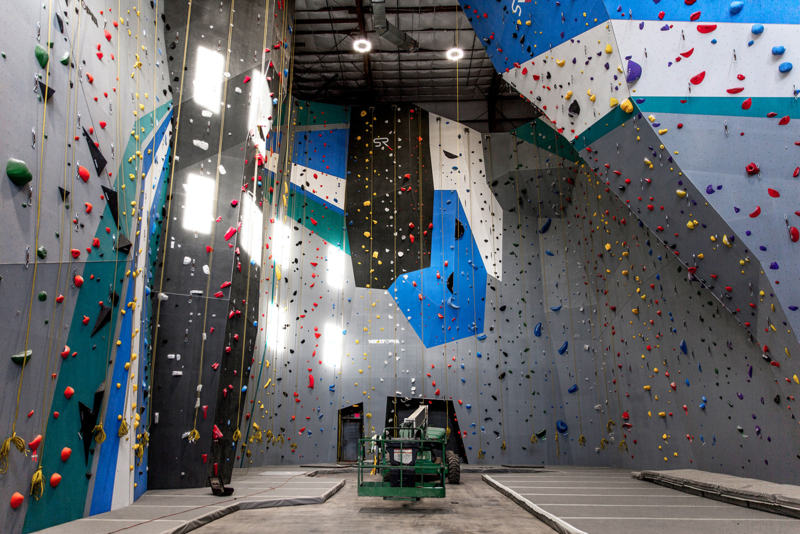 With walls of all sizes, both experienced climbers and newbies can come to Sportrock for a fun-filled day. If you need a lesson, they have experts ready to teach; and if you’ve done this before, you’ll have access to the largest climbing wall in the Mid-Atlantic. Escape Room Herndon will take your date night to the next level. Although by now you’ve likely all heard about the escape room trend that has quickly taken over, you may not have had the chance to try it. Escape Room Herndon has put together four rooms to test your mind, patience, and skill. Try the 8-Bit Escape room (for the gamers) or the mystery of Room 213, so long as you’re not scared of ghosts. Whatever you decide, it will be a night to remember. Cornerstones is a non-profit organization that promotes self-sufficiency by providing support and advocacy for those in need of food, shelter, affordable housing, quality childcare, and other human services. Becoming a volunteer is simple as they offer many options from one-time opportunities, ongoing opportunities, and even season opportunities. There’s an option for everyone! YMCA Fairfax County Reston is a non-profit organization that offers childcare, summer camps, and child development for dozens of local communities. The entirety of their services are provided through the tireless work of volunteers. If you’re interested in bettering the lives of children and their families in your area, the “Y” offers ideal volunteer opportunities for you. Public Art Reston works to ignite a commitment to art as an integral part of the Reston community. Volunteers can join one of four committees, including Communications, Public Art, Development, and Finance, all of which play crucial roles in maintaining public art and educating the next generation of artists to be assets to the community. Alzheimer’s Association seeks volunteers to help inform the public on the realities of Alzheimer’s Disease, share stories, answer support phone lines, advocate, and volunteer at various special events. 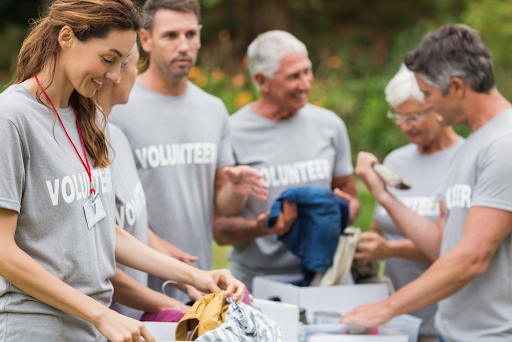 Although this is a national nonprofit, they do unmatchable work locally in Reston and Washington D.C., and any time given can make a huge difference in someone’s life. Although Reston may seem small at first glance, any resident, whether living at Aperture or not, can appreciate the endless opportunities it offers to ensure that your goals for the year are met. 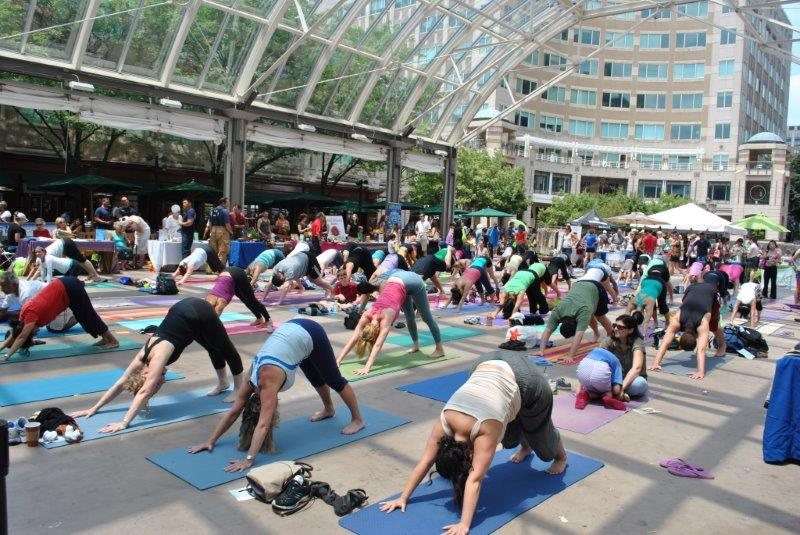 Whether this means hopping on the metro to D.C., taking a new type of fitness class, trying your hand at axe throwing, or crossing yet another thrill-seeking item off your bucket list, Reston keeps you close to it all. 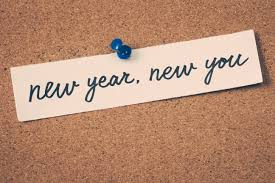 New Year’s resolutions don’t have to hang over your head all year long — nothing is unachievable. We’ve spoken it into existence; now, pick a place to start, and take a hold of your 2019!